1. Run Portable Apps, Games, and Utilities. • Run applications like Firefox, Chrome, OpenOffice, and more in any computer. 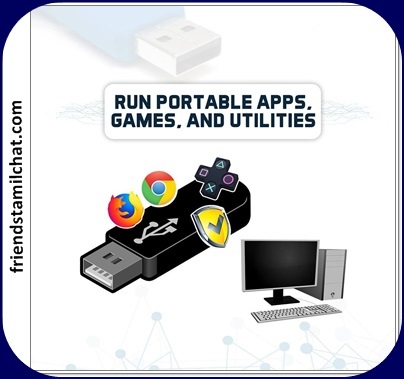 • Carry it around, plug it into a convenient computer, You can find a huge list of flash-drive games through PORTABLE APPS. • You can use a portable app installed on a USB drive to scan and remove the offending software. 2. After the file has been downloaded install it. 3. Success ! You've installed your portable app and now ready to use. You can copy a game paste it on another computer and be able to play it. • With Predator, you can turn your USB drive into a "key" that unlocks your computer when plugged in, and locks it when it's removed. Step 2: Set a password and register your flash drive in to the software. if ur Flash drive is unavaialable you proceed and continue to the software by just typing a password. Step 3: Run Predator by double clicking it. insert you drive and wait for the software to recognize you drive and click register key. • Ready Boost turns an external flash drive into a hard disk cache. • It’s meant to speed up certain processes on computers that use standard hard drives. • It does not work for computers with solid-state drives like those often found in higher-end laptops. 1. Plug a flash drive or flash memory card into your computer. 2. In the Autoplay dialog box, under General options, click Speed up my system. • To turn ReadyBoost off, click Do not use this device. • To use the maximum available space on the flash drive or memory card for ReadyBoost, click Dedicate this device to ReadyBoost. Windows will leave any files already stored on the device, but it’ll use the rest to boost your system speed. • To use less than the maximum available space on the device for ReadyBoost, click Use this device, and then move the slider to choose the amount of available space on the device you want to use. 4. 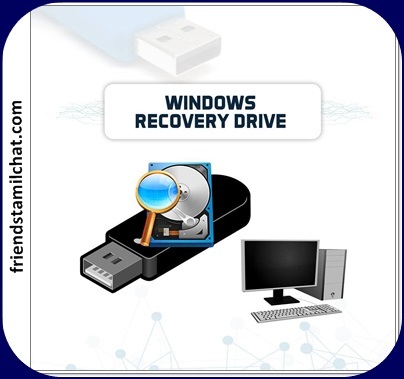 Click apply > OK.
• The recovery drive copies the system files necessary for reinstallation of missing files from your current PC. 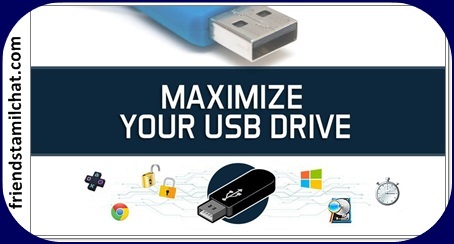 • You may need at least a 16 GB USB drive if you choose the option to back up your system files. Step:1 First of all, you need to have an empty disk or a USB drive that you want to convert into a recovery drive, insert that drive in your PC. Step:2 Search "Create a recovery drive" in your PC. Step:5 Now the recovery disk process will start and it will take some time and all the recovery files will get written to your drive and this will take time according to your computer speed. • This is useful when attempting to install an operating system (e.g., Windows) on a computer that doesn't have a CD/DVD reader. • You can make a USB bootable on a Windows or Mac computer by using Command Prompt or Terminal, both of which are free programs.